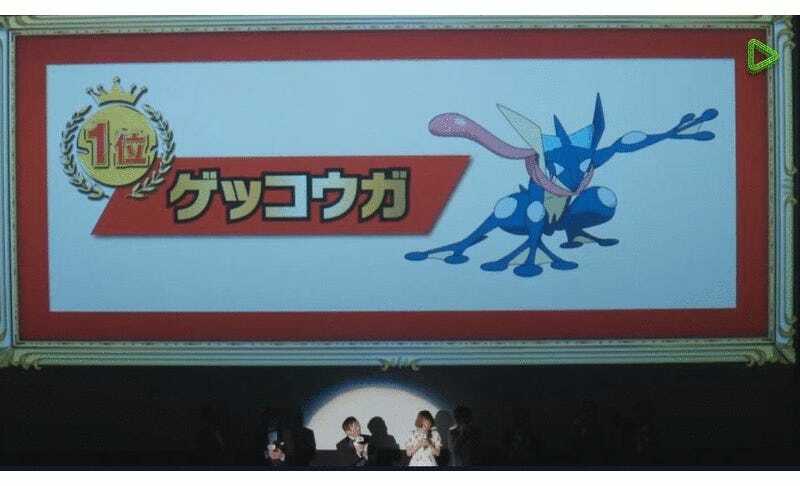 In a general election between all 720 Pokémon in Japan, the winners were announced tonight in Tokyo. Greninja came in first, while Pikachu didn’t even crack the top three. According to Oricon Style, a total of 562,386 votes were cast, with Greninja garnering 36,235 of them, making this Pocket Monster the election’s most popular choice. In Japan, the character will be distributed as a free Pokémon Omega Ruby and Alpha Sapphire download for theatergoers at this summer’s latest Pokémon movie. That might help explain why Greninja edged out Pikachu in this particular popularity contest. Perhaps? Simisear came in at 720 with the least number of votes.